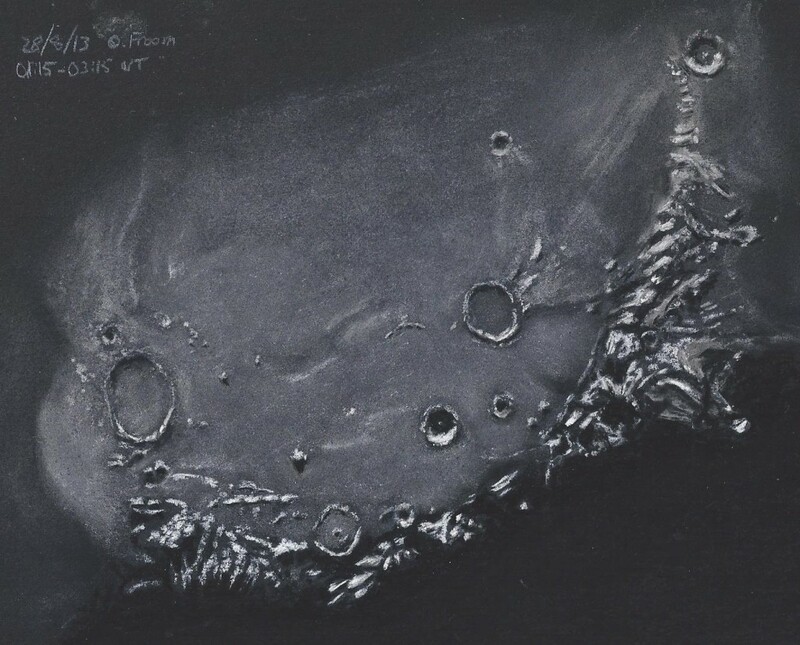 As a little summer holiday project I made a pledge to myself to sketch lunar craters at every opportunity, casually assuming that the usual poor British summer weather would make this an easy commitment to keep. However, I have been kept busy over the last couple of weeks! I have been inspired by the quality of the sketches on your website and as you can see I am still some way off those standards; however, I am pleased to see (I think) some improvement in my efforts. I sketched this at the eyepiece using the pastels and just my finger as a blending tool. That is a very fine looking sketch of our neighbor in space. I’d say you got it mastered. I look forward to seeing more of your renditions here. Thank you for such a positive comment. For my work to be compared in any way to Frank’s is high praise indeed 😀 I will keep going with the sketches, weather permitting!